Join us at REACH for an evening filled with friends, food, art and entertainment. 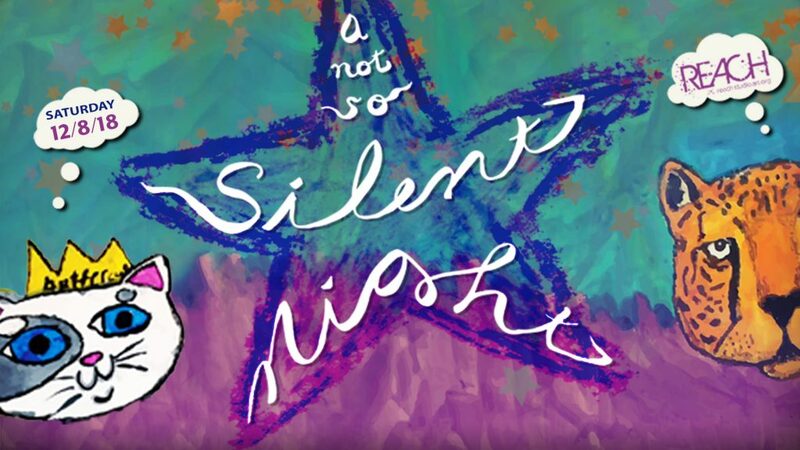 The Not So Silent Night Annual Benefit for REACH is an evening of art, music, fellowship and delicious goodies to eat. The evening includes a “Featured Artists” show in the gallery, over one hundred giftable items from local businesses and artists in a silent auction, local craft beer and wine cash bar, delicious hor d’ouevres and live music provided by the Riverside Four Guitar Ensemble. Join in singing (or just stand there marveling) as emcee Dylan Rogers, from Lansing’s Unionized Vaudeville Spectacle, leads the evening of fun. REACH thanks the following sponsors for helping make Not So Silent Night a success.